Provides fast-acting fuse protection for electronic devices. 40 Amp. Sold in packages of 2. 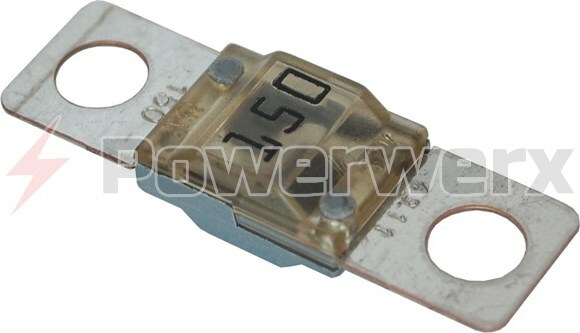 Requires the use of Blue Sea System terminal fuse blocks BS7720 or BS7748 SafetyHub 150. Provides fast-acting fuse protection for electronic devices. 60 Amp. Sold in packages of 2. 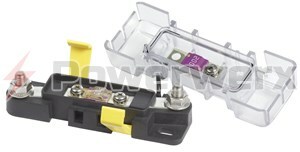 Requires the use of Blue Sea System terminal fuse blocks BS7720 or BS7748 SafetyHub 150. Provides fast-acting fuse protection for electronic devices. 80 Amp. Sold in packages of 2. Requires the use of Blue Sea System terminal fuse blocks BS7720 or BS7748 SafetyHub 150. Provides fast-acting fuse protection for electronic devices. 150 Amp. Sold in packages of 2. 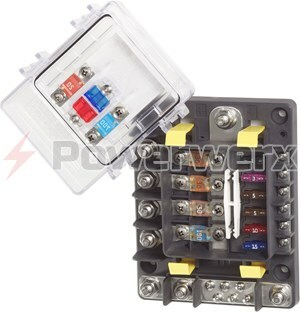 Requires the use of Blue Sea System terminal fuse blocks BS7720 or BS7748 SafetyHub 150. Provides fast-acting fuse protection for electronic devices. 200 Amp. Sold in packages of 2. 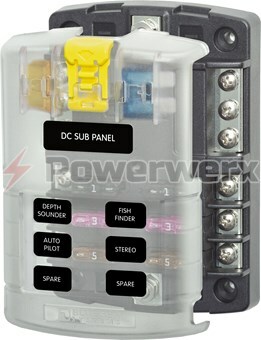 Requires the use of Blue Sea System terminal fuse blocks BS7720 or BS7748 SafetyHub 150.